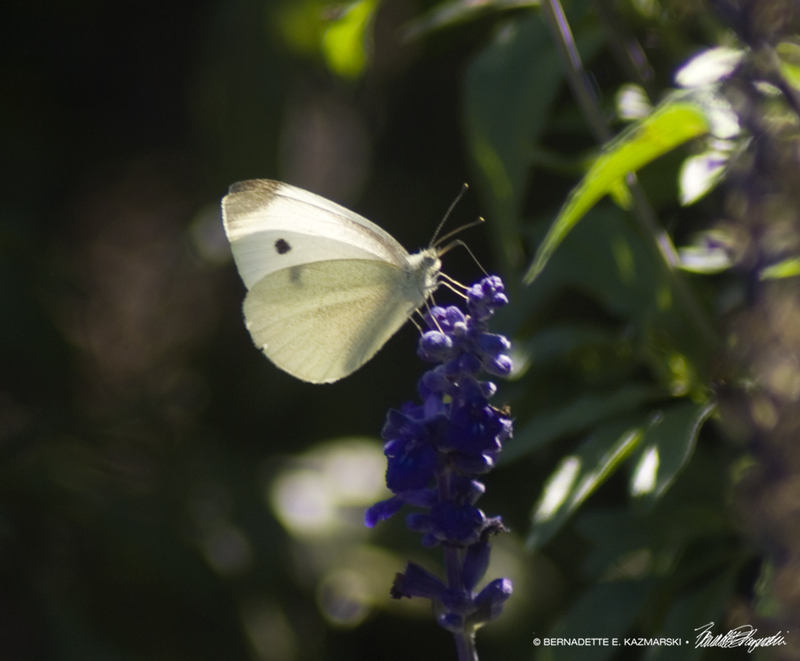 A male “small cabbage white” butterfly is king of his stalk of sage in the community garden. I’m surprised he sat still long enough to get a clear photo. I spent quite a bit of time following him as he fluttered to each flower stalk, an amazing way to clear you head on a busy morning walk from the post office.